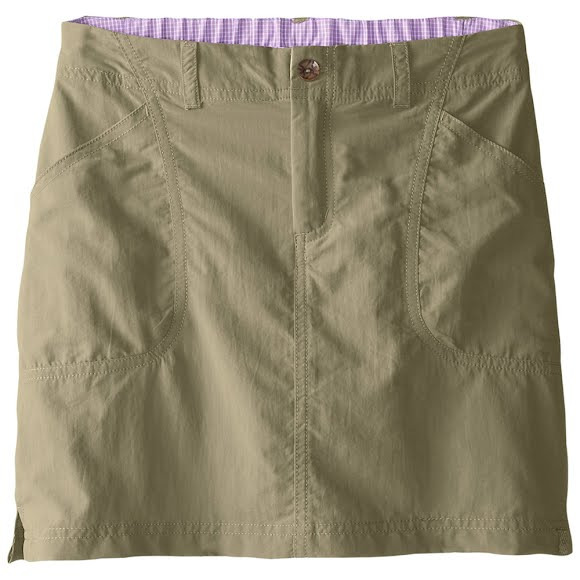 Ideal for girls who love sports such as golf, tennis, field hockey, and bicycling, the Girl's Youth Canyon Skort from White Sierra has the look of a skirt with the functionality of shorts. In fact it is a skirt with an attached internal pair of shorts. Ideal for girls who love sports such as golf, tennis, field hockey, and bicycling, the Girl&apos;s Youth Canyon Skort from White Sierra has the look of a skirt with the functionality of shorts. In fact it is a skirt with an attached internal pair of shorts. Measurements Skirt length: 13.5", Attached interior short inseam: 3"